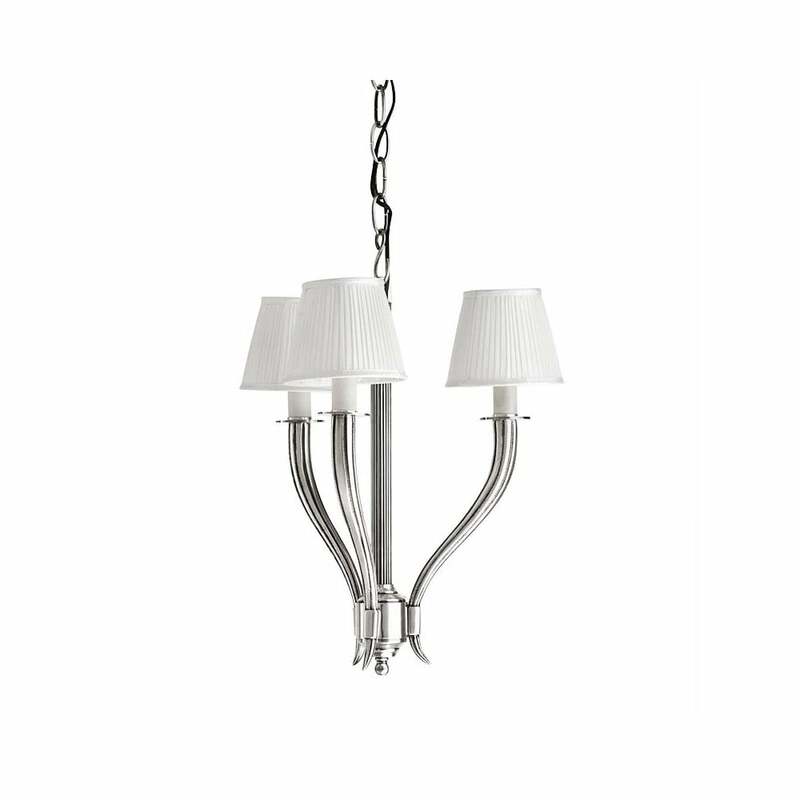 Add style and glamour to a bedroom or living space with the Mayflower 3 Light Chandelier by Dutch design experts, Eichholtz. Finished in a shimmering, antique silver, this chandelier features a sweeping, sculptural design that has a delicate elegance. The three arms have a carved, linear aesthetic presenting a timeless appeal. Suiting both traditional and contemporary schemes, style within a clean, white interior for an on-trend, minimal look. Suspended by a silver chain, the length can be adjusted to suit your requirements. Three pleated white shades are included with the chandelier.